Dr. Jonathan Likeke Scheuer works as a consultant helping clients manage environmental conflicts involving cultural, economic, and conservation stakeholders. Born and raised on O‘ahu, he holds a B.A. and Ph.D. in Environmental Studies from the University of California, Santa Cruz, and a M.E.S. from Yale University, School of Forestry and Environmental Studies. He has worked on land conservation, real estate, and water management for the Office of Hawaiian Affairs, Kamehameha Schools, the National Park Service, and others. In addition to serving on HILT’s board since its founding, he currently serves as an a member of the Hawai‘i State Land Use Commission. He has previously served on the boards Mālama Mānoa and the O‘ahu Land Trust and as a Kona Moku representative and the Vice Chair of the O‘ahu Island Burial Council. Mary Charles is a 45-year resident of Hawai‘i with involvement in both the business community and the philanthropic community. Mary Charles pioneered the corporate incentive and group market in Hawai‘i's tourism arena and built one of the leading and most well respected destination management companies in the islands. After selling MC&A, she pursued business interests on Lanai, including the ownership of Hotel Lanai and Lanai City Grille, which she recently sold. Mary Charles continues to do projects using her event planning and logistics background and recently provided the logistics and production for the Pillars of Peace programs on behalf of Hawaii Community Foundation and The Omidyar Group. Yoga practitioner, avid golfer and loves to hike. Jennifer Luck is the Managing Director for the Porter Trust, overseeing land assets, charitable giving and estate planning for the Trust. Born and raised in Los Angeles, she graduated from the University of Oregon and previously worked for the United Farm-workers Union, Peace Over Violence and as Executive Director of the Institute of Real Estate Management. Jennifer and her husband Jason moved to Kaua‘i in 2007 when Jennifer was offered a position as the Executive Director of the Kaua‘i Public Land Trust. From 2011 – 2015 she served as the Kaua‘i Island Director of the Hawaiian Islands Land Trust. She currently serves as Vice-Chair of the Board of Kaua‘i Planning and Action Alliance and in 2014 was elected to the Princeville at Hanalei Community Association Board of Directors. She resides on Kaua‘i’s north shore with her husband Jason and daughters Midge and Frankie. Jennifer is honored to join the Hawaiian Islands Land Trust Board of Directors, she looks forward to continuing her conservation work and supporting the mission of this fantastic organization. 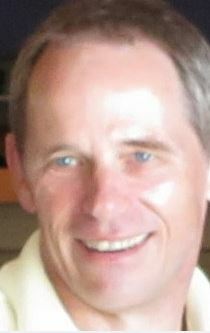 Matthew Beall started his real estate sales career in Hawai‘i in 1998. He has several years of non-profit experience, largely through Realtor organizations. He has served as the President of the Kaua‘i Board of Realtors and as a Director-at-Large and Executive Director of the Hawai‘i Association of Realtors. Matt manages all aspects of Hawaii Life Real Estate Brokers, a large residential real estate brokerage with 14 commercial locations, 200+ sales people, 30+ full-time employees and part-time staff. 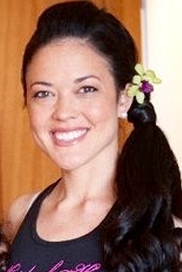 Sarah was born and raised on the island of Kaua‘i. After high school in L.A. and college in Denver, Sarah joined her father in the family real estate business in St. Louis, MO. She successful ran the company from 1985 to 2008, then merging it with another firm to create the largest, independent residential real estate company in St. Louis. She also became engaged in numerous philanthropic endeavors over the years, including serving on various for profit, and not for profit boards. Her love of nature and conservation brought her back to Kaua‘i full-time, and to offer her services on the board of HILT. Lisa Grove has been the lead strategist and pollster for political candidates, nonprofit organizations, corporations and labor unions for over 20 years. Lisa has had the privilege of working with an array of clients from US Senators, Members of Congress and Governors in Hawaii and on the mainland and was on Barack Obama’s presidential re-election team. Sustainability and conservation is a passion, not just a profession for Lisa. Lisa has helped move and shape public opinion on a wide range of conservation issues from coal mining, establishing marine protected areas and wilderness to invasive species. She is also a national thought leader on climate change and serves as an advisory board member for iMatter, a national youth-led climate change group. Lisa divides her time between the island of Lanai, Hawaii and Honolulu. She is an active member of the Lanai community, writing for the local newspaper, helping secure grants for the Lanai Culture & Heritage Center, acting as a hiking and history guide, and helping out with the school foundation she helped to establish. From 2000 to 2015, he directed the Land Assets Division of Kamehameha Schools and was responsible for a portfolio of 358,000 acres of agriculture and conservation lands in Hawai‘i and also founded the First Nations Futures Program and Hawaiʻi Investment Ready Program. The work of this division earned the Innovation Award of the Hawaiʻi Conservation Alliance, as well as the Kamaʻāina of the Year Award from the Historic Hawaiʻi Foundation. Mr. Hannahs is a graduate of Kamehameha Schools and received BA and MA degrees from Stanford University. He is active in community affairs and effective July 1, 2016, he will begin a four-year term on the State of Hawaiʻi Commission on Water Resources Management. Clyde Sakamoto began his public service with the Peace Corps in India and continued in higher education as dean and provost of Maui Community College which he helped expand to a baccalaureate-granting institution as chancellor of UH Maui college. During his years in Maui Nui, he worked with colleagues to plan and complete the College’s master plan while initiating interactive instructional television, the university center, outreach centers and other concepts into the UH System. He was also director of International Services at the American Association of Community and Junior Colleges and served in Senator Daniel K. Inouye’s DC office during the completion of his doctorate at George Washington University. His international service includes appointments to the International Small Islands Studies Association and the Global Islands Network executive committees. Tony Takitani was born and raised on Maui and is an attorney on the Valley Island. 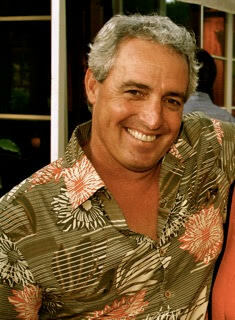 He serves as a board member on numerous boards and commissions including the Maui Arts & Cultural Center and Maui Health System. He is also president of Maui United Soccer Club.